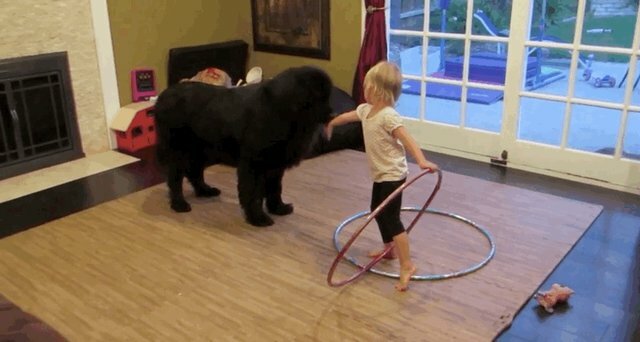 Four-year-old Sierra and her seven-year-old newfoundland, Sebastian, are best friends, so of course she would want to teach him her favorite hobbies. Unfortunately it doesn't seem like he gets it. So she decides to show him what it's all about. 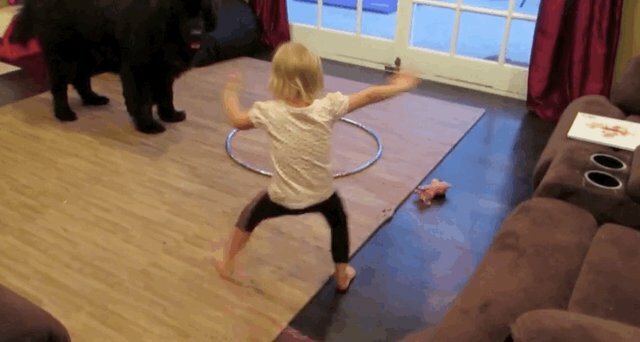 Turns out Sebastian is better as an appreciative audience member than a hula-hooper. Sierra and Sebastian's mom, Brenda Green, spoke to The Dodo about their special relationship. "Sierra is always thinking of games to play with Sebastian and he always seems to go along with them," she said, "Sierra really believes I can talk to Sebastian, so she often asks me to interpret what he is is saying or feeling. She has always been very concerned about him." Brenda has been recording Sierra and Sebastian's close relationship for years. 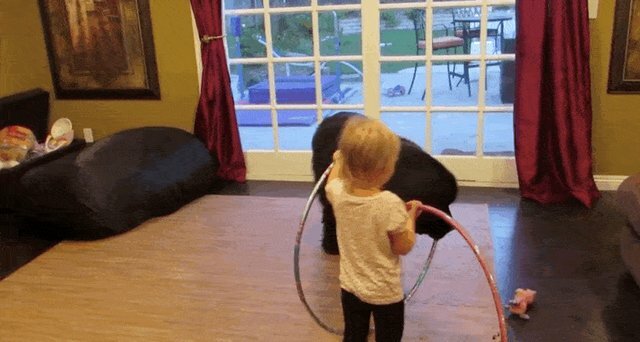 You can see more videos of the two of them playing together on her YouTube channel. 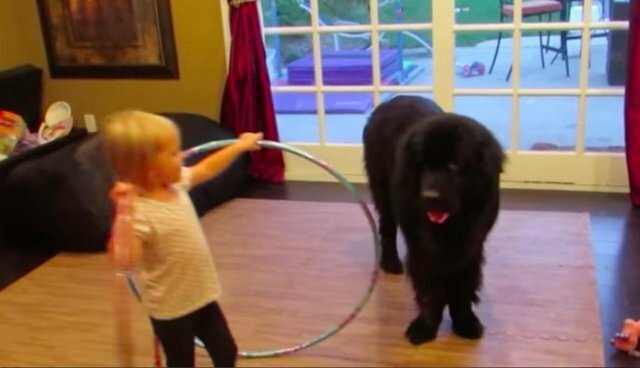 And you can see the whole adorable hula hoop lesson here.